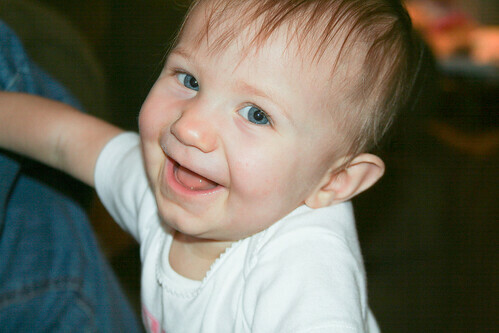 Our Kids' Blog » Blog Archive » What a Big Toothless Smile! What a Big Toothless Smile! What a Big Toothless Smile!, originally uploaded by Robby Edwards. But not for long, it seems. Rachelle and I think that Emily is starting to teeth. She’s been uncharacteristically fussy, and has been waking up at night; though there is no sign of teeth, yet. Posted in Emily Pics | Comments Off on What a Big Toothless Smile!